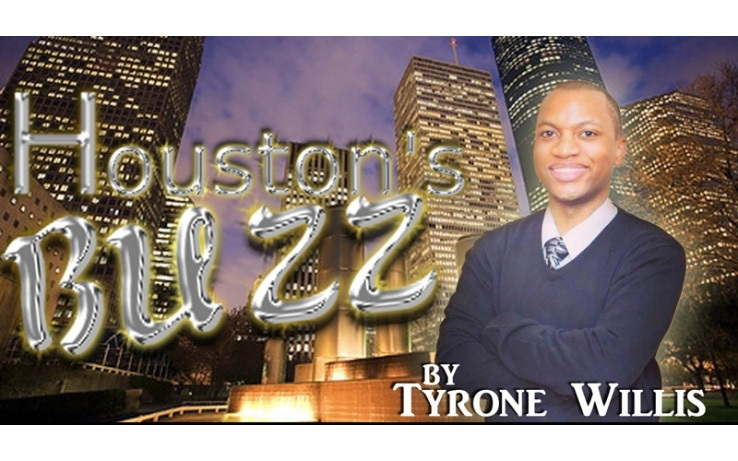 This Week in Houston’s Buzz: Top Ladies of Distinction of the Lake Houston Chapter in Kingwood, Texas Lead the Charge on Voting and More! 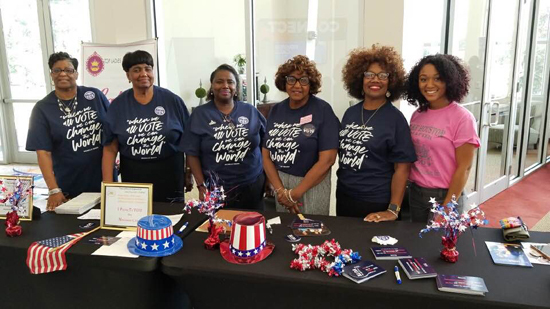 Debra Gregory, Brenda Sylvester, Carline Rogers, Thelma Johnson, Orlinda Preston Fowler, and Crystal Holmes, participate in the “When We All Vote” Registration Drive The Luke Church. In celebration of the anniversary of the signing of the Voting Rights Act, former First Lady of the United States Michelle Obama has released a new voting initiative titled ‘When We All Vote’ that included a week of action from September 22 to September 29. Civil-minded individuals and community service organizations were asked to support and be involved in this initiative by leading conversations, talking to friends, family, and neighbors about the importance of their voice and their vote. Drema Lee Woldman, National President of Top Ladies of Distinction, Inc. adopts this community partnership and recently issued a call to more than 100 chapters nationwide to participate in this initiative. 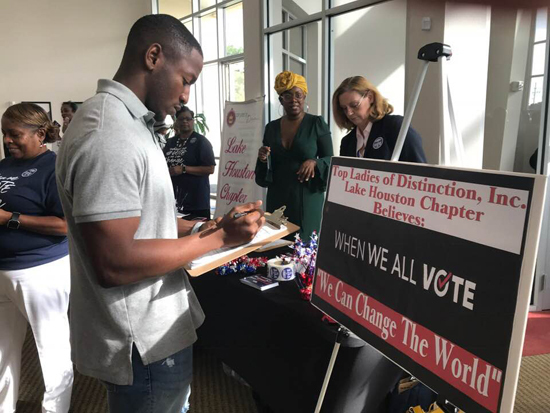 The Lake Houston Chapter of Kingwood, Texas embraces this voting initiative and kicked off their week of service to the community on Sunday, September 23, 2018, at The Luke Church in Humble, Texas. Leading this initiative in the Houston area is Thelma Johnson, President of the Lake Houston T.L.O.D. Chapter, and Debra Gregory, Second Vice President, along with chapter members that encouraged people to register to vote during the 8 a.m. and 10 a.m. services. Citizens were registered, reminder cards were distributed, and ‘Pledge Cards to Vote’ were completed by members of the community with the help of the Top Ladies. “It doesn’t do any good to register to vote, and not take the time to physically vote. Our voices can change the world. Lake Houston is ready to lead the charge to vote and support the belief that when we all vote, we can change the world,” said Thelma Johnson. 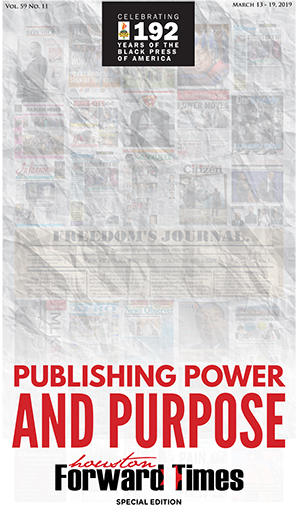 Civil-minded individuals and community service organizations are asked to support this initiative by leading conversations, talking to friends, family, and neighbors about the importance of their voice and their vote. From September 22 to September 29, individuals and organizations were asked to speak with and register voters, get folks fired up, and ready to vote in the midterm elections and beyond. 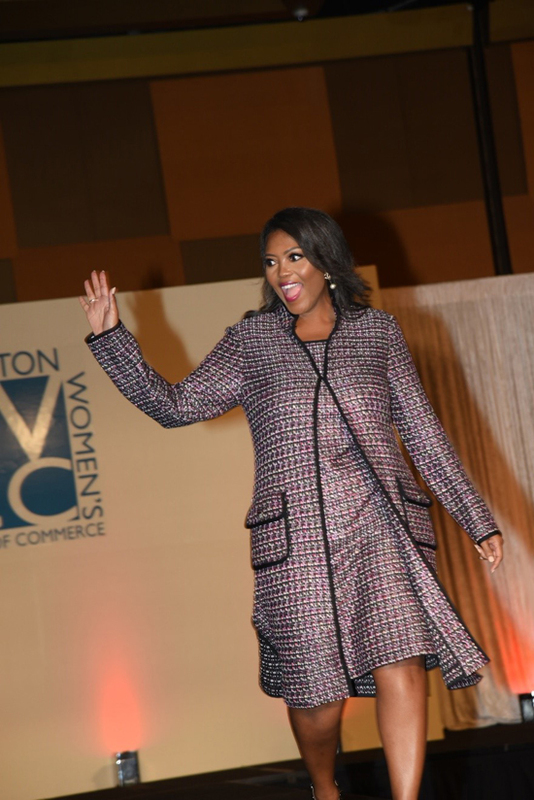 The Greater Houston Women’s Chamber of Commerce recently hosted its Women in the Fast Lane of STEAM, Luncheon, Style Show, and Shopping event on Thursday, September 20, 2018, at the Hilton Americas Hotel in Downtown Houston. 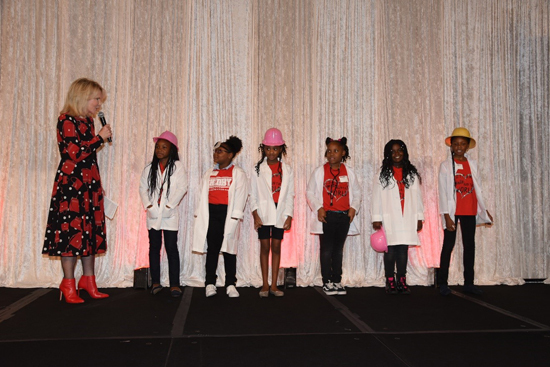 This annual event honors and celebrates many of Houston’s leading executive women in STEAM careers with a luncheon, unique runway style show, and shopping with a wide range of exhibitors. Over 600 guests were welcomed into an elegant ballroom colored red, black, and white to match the “fast lane” theme. The show was opened by GHWCC’s CEO, President & Founder Suzan Deison, Chair of the Board Myrtle Jones, and Chair of the event Shawntell McWilliams, and all spoke about the importance of supporting women in STEAM. The audience was then treated to a show from this year’s class of STEAM Town, USA Girls. STEAM Town USA program is an after-school program that seeks to increase exposure of third grade girls to Science, Technology, Engineering, Arts, and Math (STEAM) concepts, improve grades, and graduation rates, and encourage girls to pursue STEAM careers. 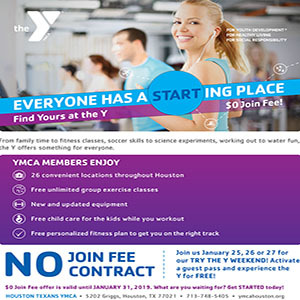 The program serves Conroe, Houston, and Spring Branch School Districts. The girls sang “A Million Dreams” from The Greatest Showman dressed as Doctors and Engineers. 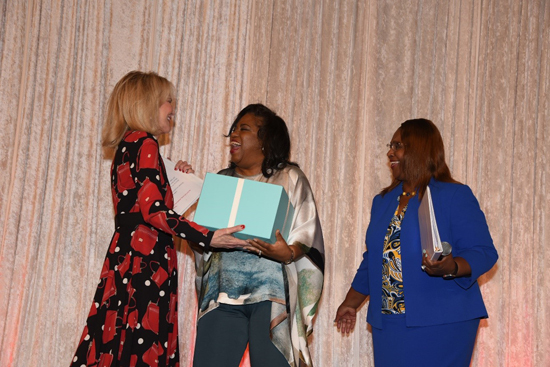 Dr. Grenita Lathan, HISD’s Interim Superintendent, presented the 2018 STEAM ICON award to Paula Harris, Director of Global Stewardship/Educational Programming at Schlumberger. The runway style show was awesome due to the fact that all of the 2018 STEAM Role Models walked the runway. The ballroom had two runways to assure that the guests were able to see each Role Model regardless of what side of the room they were on. Styled by Elizabeth Anthony and Luncho, the Role Models were elegant and confident, and received applause from the audience from start to finish. These 40 fantastic Role Models deserved to have a spotlight shown on them, and the GHWCC was thrilled to be able to provide. The Greater Houston Women’s Chamber of Commerce is a nonprofit business organization of highly influential and diverse women and men dedicated to the advancement and empowerment of women through avenues of leadership, education, advocacy and mentoring. The Greater Houston Women’s Chamber of Commerce (GHWCC) is the fastest growing women’s chamber in the United States. Designed to provide a comprehensive suite of services for business women, the GHWCC offers several programs supporting the advancement and empowerment of women and girls such as Houston on Board, the Entrepreneur Accelerator Institute, and STEAM Town, USA. To learn how you can get involved, please email the Chamber at info@ghwcc.org.